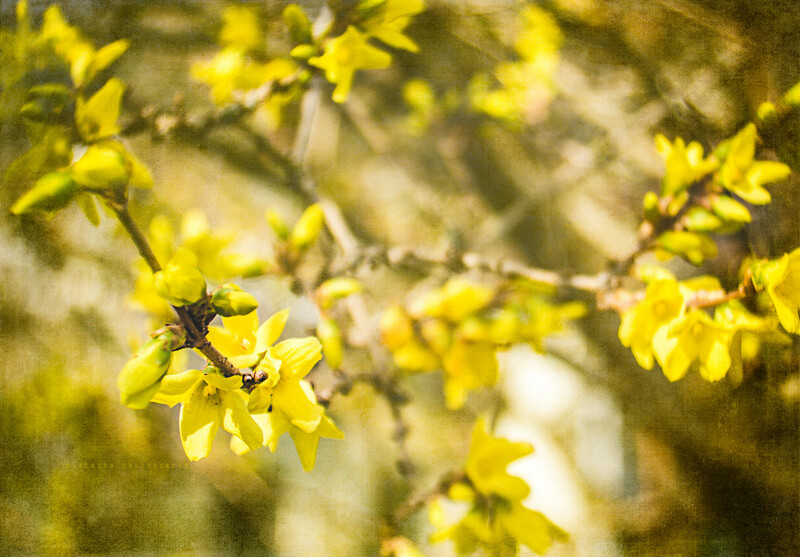 I grew up with Forsythia shrubs, this lovely photo brings back sweet memories! I like it. Lovely tones. Very pretty. Ours is refusing ti come out as it's too cold! It is pretty full out already and also looks pretty with your textured background.